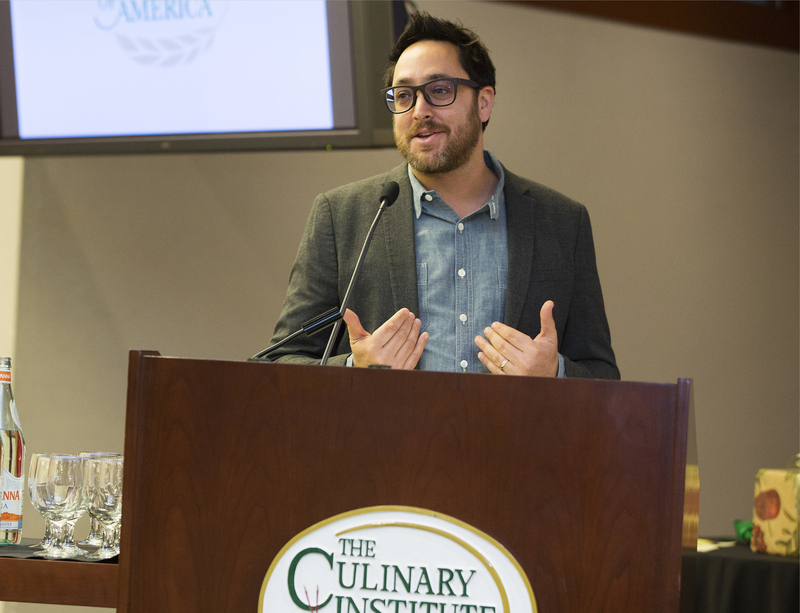 St. Helena, CA – Christopher Kostow, the renowned executive chef of The Restaurant at Meadowood, was keynote speaker during commencement exercises at The Culinary Institute of America at Greystone in St. Helena, CA on December 21. A Michelin-starred chef before the age of 30 (at Chez TJ in Mountain View, CA), the Highland Park, IL native has been at Meadowood since 2008. The following year, Kostow was honored as one of Food & Wine magazine’s Best New Chefs. In the 2011 edition of the Michelin Guide, he elevated The Restaurant at Meadowood to three stars—the highest possible ranking—and has retained that rating ever since. He is one of the youngest chefs ever to earn three Michelin stars. Still just 40 years old, Chef Kostow continues to accumulate honors for himself and the restaurant. He won the James Beard Foundation Award as Best Chef: West in 2013 and The Restaurant at Meadowood has held a four-star rating in the San Francisco Chronicle since 2010, while winning a Beard Award for Outstanding Service in 2014. His first cookbook, A New Napa Cuisine, won Cookbook of the Year in 2015 from the International Association of Culinary Professionals. In 2016, The Restaurant at Meadowood received the Wine Spectator Grand Award. Chef Kostow’s latest venture, The Charter Oak restaurant in St. Helena, is scheduled to open in 2017.